When you call Karbon Apartments home, you don’t have to choose between ample benefits and an upscale apartment. Our community is designed to provide you with the comforts of a deluxe community at a price that fits your budget. Inside our recently updated apartment homes, you’ll be greeted by modern finishes such as stainless-steel appliances, brushed nickel hardware, and espresso cabinetry. Each of our apartment homes for rent feature a washer and dryer, breakfast bar, and hardwood floors. Your private balcony is the ideal place to enjoy breakfast al fresco or watch the sun set over our professionally landscaped grounds. Select homes feature a separate living and dining space, pantry, second bathroom, or walk-in closets. At Karbon Apartments, we’ve designed an active community with amenities for everyone. 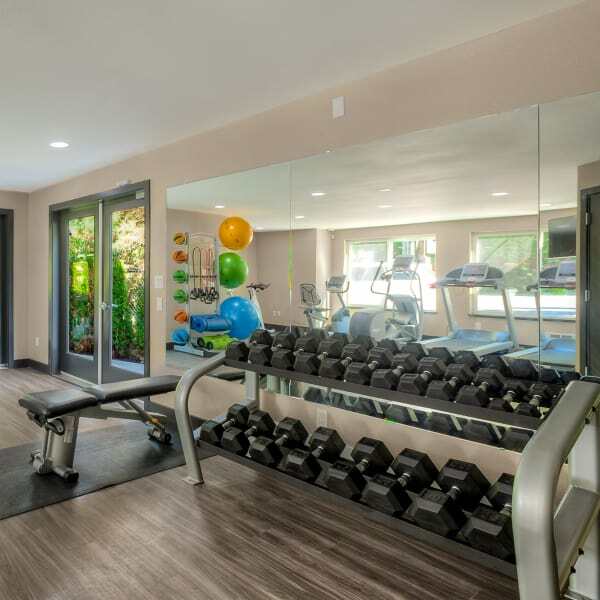 We invite you to entertain, work out, and relax, all within steps of your front door. Enjoy meeting your neighbors in our community game room. Use the outdoor grill and host a party in the cabana. Stargaze next to the fire pit. Exercise on your own time in our 24-hour fitness center with state-of-the-art cardio and weight equipment. Our on-site dog park is the perfect place to play catch with your small or large dog. From entertaining to relaxation, Karbon Apartments features modern amenities designed to fit your needs. View our available apartments for rent and schedule a tour today!